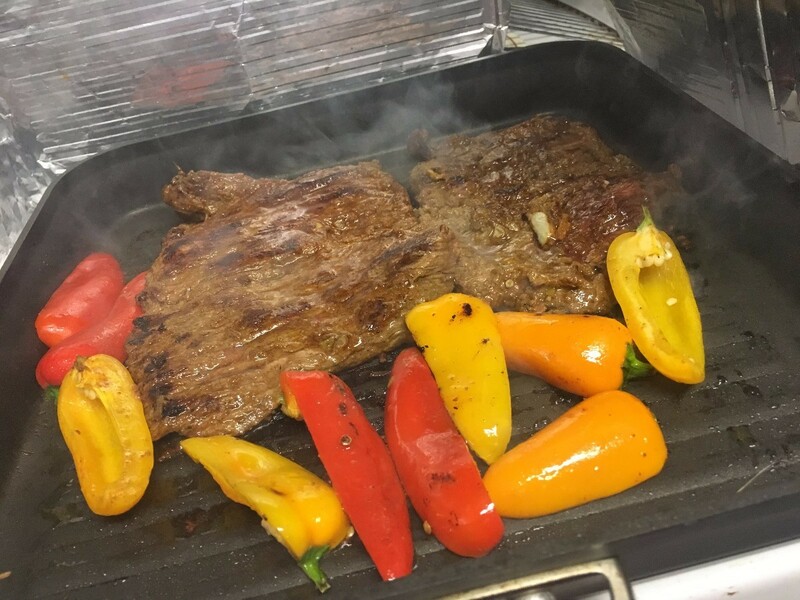 You can make delicious carne asada at home on your stove. This guide contains a recipe for skillet carne asada. 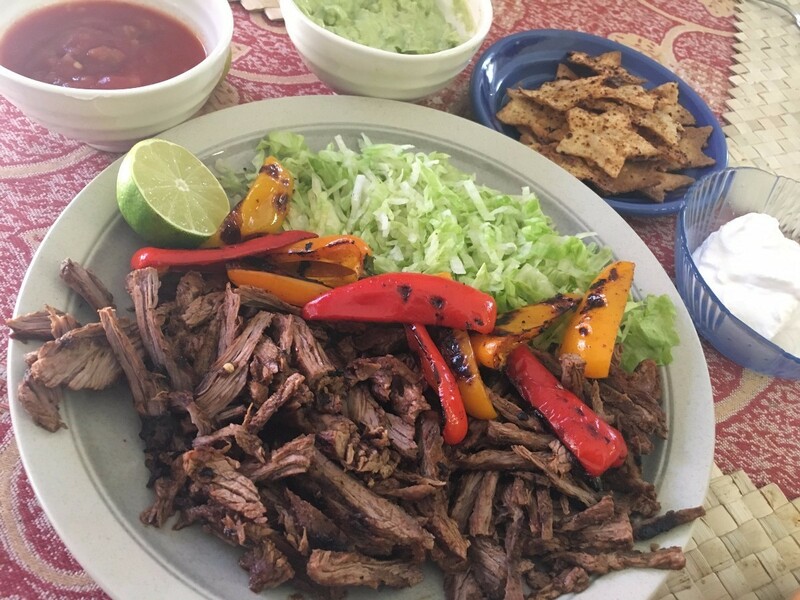 If you don't have access to a grill during the hot months, or you want to take a summer flavour into the colder months, try making this delicious carne asada indoors on your skillet. 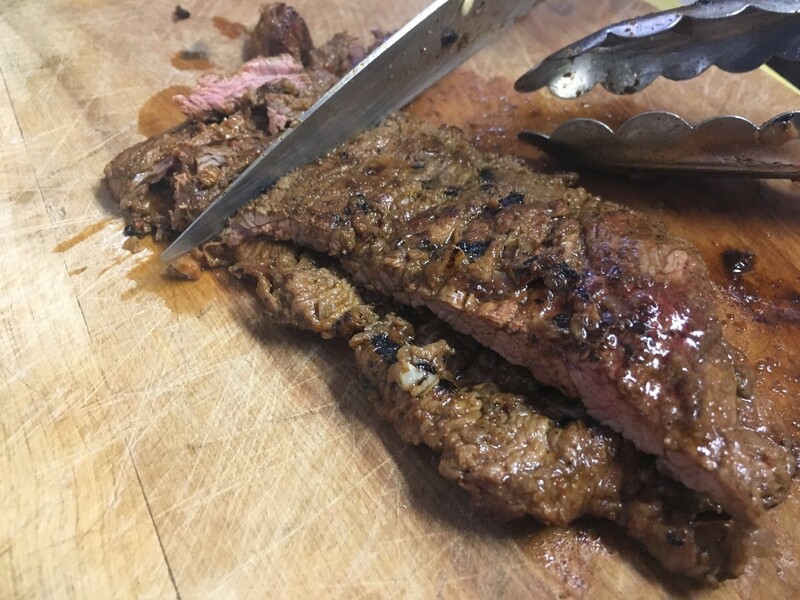 The marinade and meat cutting technique used for this recipe will blow you away. Give it a try! Cut the meat into two pieces. Use a fork to prick holes in the meat. Place in a large plastic bag or shallow dish and pour remaining ingredients on meat. Seal the bag (or cover the dish) and refrigerate for at least 4 hours. Grease a heavy skillet over medium-high heat. 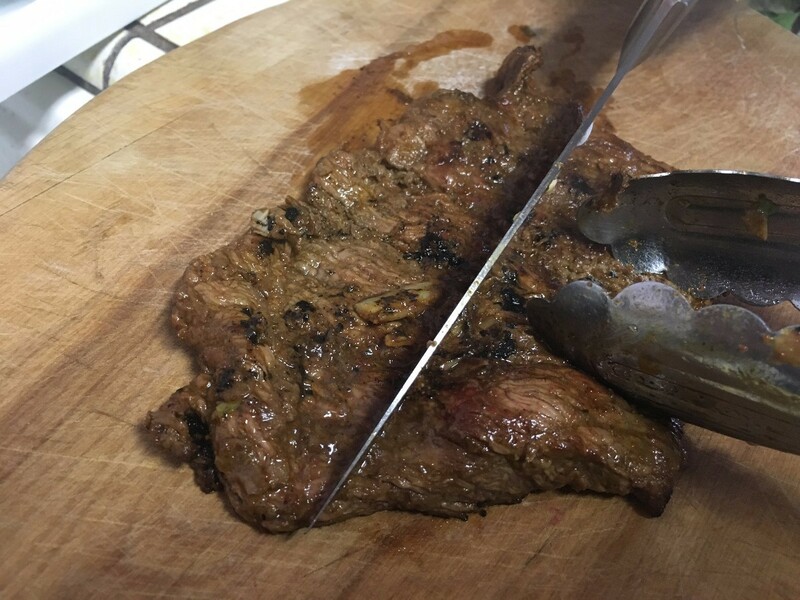 When skillet is hot, add marinated steak strips and brown until well on all sides, cooking until the desired doneness is reached. The cooking time will depend on the size of the steak pieces but should be about 3 to 4 minutes per side. I cooked mine next to peppers for the same amount of time. Remove steak to a plate and let rest for 5 minutes. Cut it against the grain. Then cut it several times with the grain. Give one a try to salt and pepper to taste, if needed. Serve as the star to a taco platter or with sides.